At Flemmings our staff are our main assets. We make every effort to ensure that they are trained to a very high professional standard to provide a highly skilled and professional service to our client. Our training ethos has been accredited by the ACCA Platinum Award and recognised by five Presidents of the ICAEW. 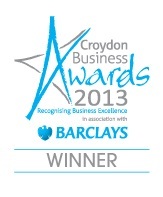 We believe in training staff to be wealth managers and business advisors, not just accountants. Our recruits are mainly ACA trainees or ACCA affiliates with strong academic backgrounds. We recruit staff with a view to providing them with the best opportunities to develop personally whilst they are training towards their professional qualification. Our ACA trainees have a strong academic background and are recruited from good UK universities from the UK and from internationally. They are recruited on a four year contract and training and study leave is paid for by the firm for first attempts. Our ACCA affiliates will have completed all their ACCA papers with first time passes and demonstrate a strong academic background. ACCA affiliates are recruited on a three year contract. Whilst we do not provide any further study support during their contract we do believe that the ACCA affiliates get the same level of training and expertise to be on a par with the ACA members on qualification. As a small to medium sized firm the training will be very individual, personal and partner-led. 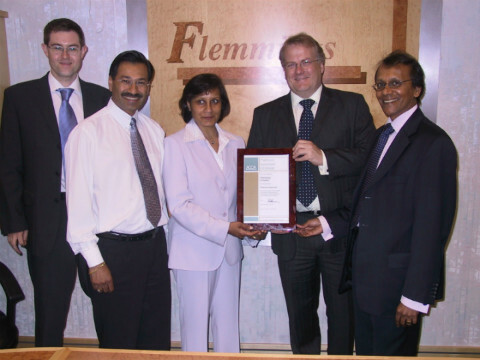 The presentation of ACCA Platinum Award to Flemmings in 2002. Our rigorous recruitment process consists of a first interview, which involves a psychometric test, a test of commercial awareness and a Partner interview. Successful interviewees go through a second interview process, which lasts three to four days and consists of a series of work-related exercises to test their competency areas, business acumen, commerical awareness, IT skills, logical thinking, team working and overall communication skills. A recruit would typically be placed in two of our departments where they would be trained by a senior. Whilst Partners have an input in the day to day running of the firm, we like to give our staff responsibility of managing a portfolio of clients and projects, to provide them with the opportunity of developing their time and management skills. We believe that by recruiting high calibre staff, it is important to constantly set challenges and our staff to expand their skills and discover their potential. 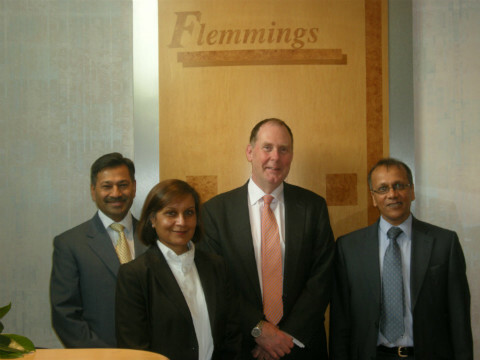 Since the firm’s inception, Flemmings has trained several international graduates who have all progressed on to careers in larger firms, partners in public practice or investment banks. To us, it is truly an achievement when the staff return back to their country of origin and achieve high positions as qualified business advisors. 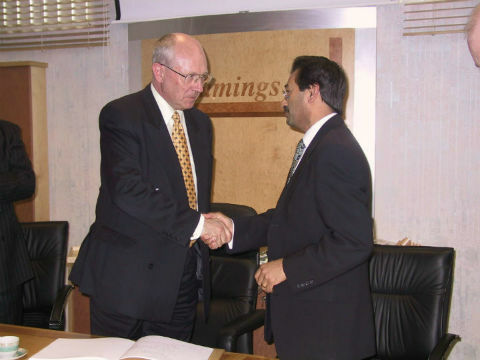 Particularly in growing economies where the vision is to achieve a knowledge based service economy, the experience gained at Flemmings would be invaluable. 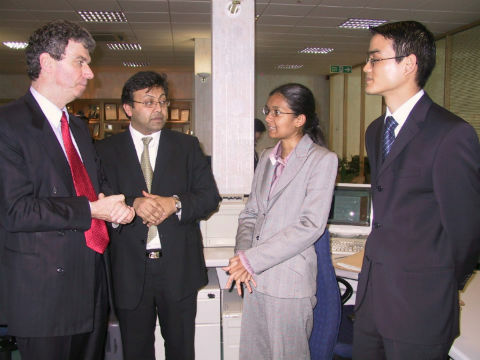 Our recruitment process and training programme are rigorous and comprehensive.